Tobago brings a whole new meaning to getting married at Sea with a tranquil sunset yacht trip, indulging in scenic coastal trips to Bon Accord Lagoon, No Man’s Land and the Nylon Pool. with the option to get married either aboard a yacht or under the sea! 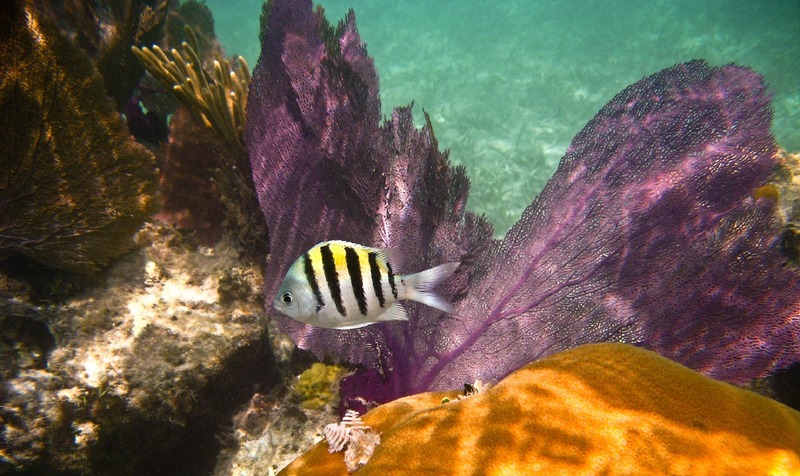 Scuba diving is one of the most exciting ways to experience the breathtaking beauty of the Caribbean – The nutrient rich waters surrounding Tobago attract a wide variety of coral and fish life and scuba diving offers a unique opportunity to enjoy this tremendous species diversity. Jewel-toned Creole Wrasse chase each other through schools of silvery Bermuda Chub over reefs covered with multi-coloured corals and sponges twisted and sculpted by the currents. Although much of the scuba diving in Tobago is drift diving, the currents vary in strength from site to site, so there is something here for every experience level from novice to the most experienced scuba diver. 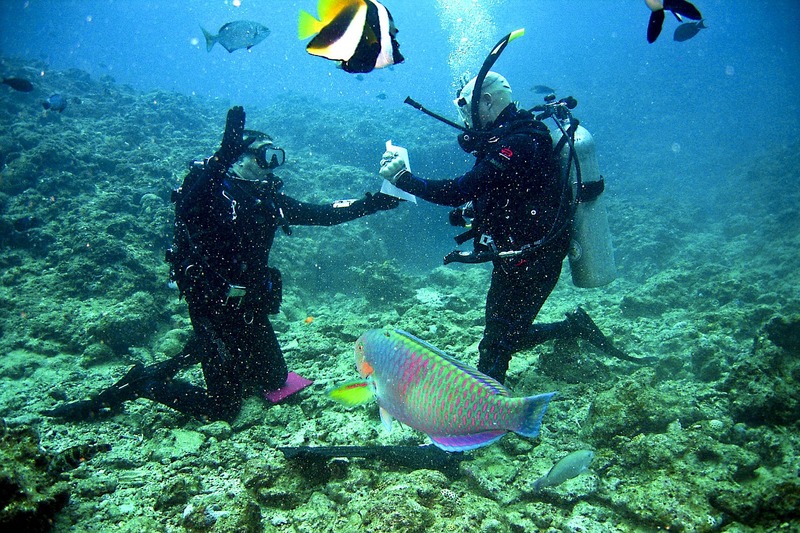 For the experienced divers why not have your wedding ceremony underwater? This can be arranged directly through our planner with one of several PADI certified dive companies.